I have many fond memories from my time – 11.1/2 years – in Romania but none more fond than my time ‘teaching English’ to a class in an industrial high school in an industrial area of the city of Suceava, an area therefore depressed after the destruction of industry following the collapse of Communism. A few days ago someone from this class contacted me, see below. I cannot begin to write how exciting this is but I just had to blog about it. The story behind moving to Suceava to teach was all due to my misunderstanding of a Romanian word – ‘Marfă’. 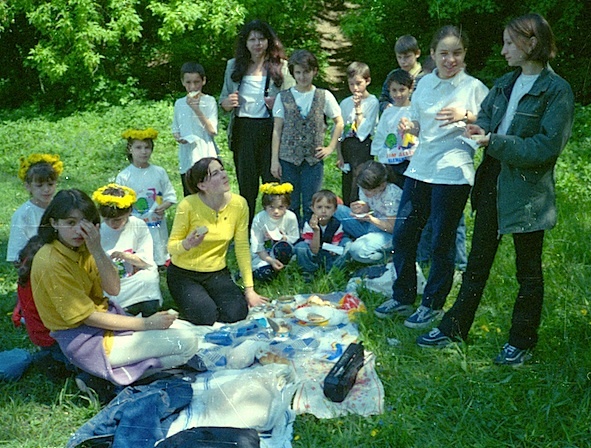 I began in a ‘top’ high school, Liceul Ștefan cel Mare, when my intended 6 months stay working in a voluntary humanitarian project in nearby Siret ended. How this happened has been documented on this blog in the past. However when I suggested I wanted to teach less advantaged students there was considerable opposition from the authorities. The overall view was ‘why bother with them, you’re wasting your time, concentrate on the best schools and the brightest students’, an attitude I met in Romania many times then, to the point of causing me many personal problems at the time. Foreigners could then be given a hard time. That is changed now and followers of this blog will know I have spent substantial periods in Romania most years since I left in 2004 and have many friends there. However, the problems were a contributing factor in my moving to Iași, where I then taught in an ‘industrial high school’ and a couple of ‘top’ schools. I didn’t ‘teach English’ in a conventional way; I tried to do it in a way from which my students would not only learn some English, enthusiastically, but build confidence to believe they could achieve anything they wished. 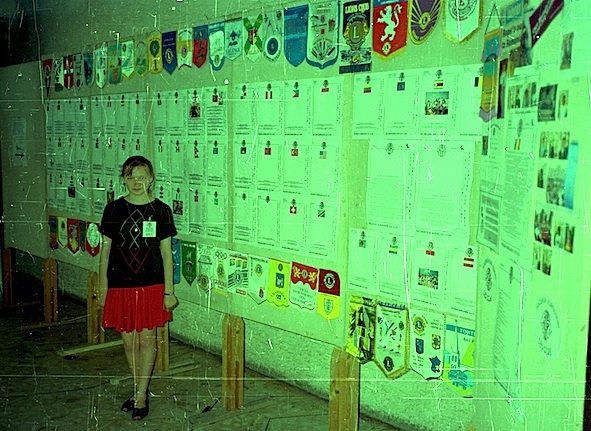 This was by involving them in projects with classes in English-speaking countries, UK and Canada if I remember correctly, and subsequently helping them to get involved in volunteering, leading eventually to formation of the third Leo Club in Romania. The projects were on email, beginning with one donated ‘obsolete’ IBM laptop. No Windows – everything was done with MsDos; does anyone remember that? Eventually the class involved in the email projects called themselves the ‘Allstars‘ and went on to form what was the third Leo club in Romania and probably among those with the youngest membership anywhere – the Suceava Burdujeni Leos were then 12-14 years old. Late teens early twenties is more usual. A few days ago I had a request on Messenger from Anca … (the family name I did not recognise). Usually I ignore such requests (my dislike of Facebook except in small closed groups has been well documented) but for some reason I opened the message and was delighted to see it was from my former student in the industrial high school mentioned above. The class have a Facebook closed group and Anca posted that she had ‘found’ me and asked if anyone else from that class remembered me. What happened as a result was humbling. The general response was “How can we possibly forget?” accompanied in some cases by thanks to me for what they had achieved since, eg a lawyer, an IT specialist, an English teacher, even a tattoo artist! (I didn’t tattoo them, honest!). One was particularly amazing; she said that only a day or so previously she had been teaching her daughter a limerick I wrote for her almost a quarter of a century ago. I didn’t remember it but she had and sent it to me. I remember all the names though I knew them only by their given names (I’ve generally not put them in the photograph captions). The Leos stayed with the resident children (and teenagers) for a whole day, not only eating with them but serving them too. Here the Leos arrive, with ‘presents’, at the hostel/hospital for orphaned (all with a disability, mostly mental) children. Last year during a short visit to Suceava I did try to find some of these former students but without success. In a way not surprising as I’ve now learnt that many of them are now in other parts of Romania and it’s quite likely some have moved abroad – so many Romanians have. Now I’m hoping that my health will allow me at least one more visit to Romania, when I’ll do my best to meet as many as possible of them in person. Meanwhile, somewhere I have the documentation for the Leo club and will try to find it, together with more of the photographs taken during activities of this wonderful group of youngsters. 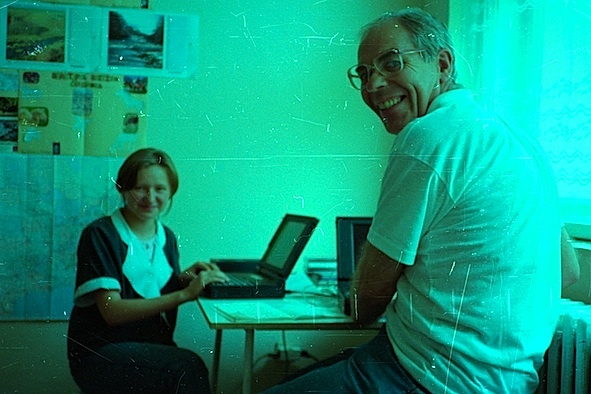 Teaching English using internet on obsolete computers in 1993/94, without ‘Windows’ – pioneering?